Nimble is an innovative household baby cleaning products manufacturer and supplier. Having developed the ideas for some groundbreaking new products, the company came to Chaos looking for some branding and packaging to help set them apart from the competition. 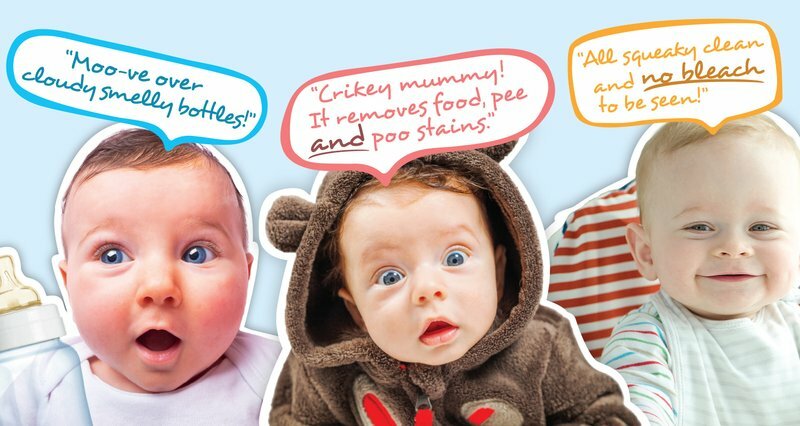 Nimble Babies came to us with a great idea for a new range of baby-friendly cleaning products. They just didn't have a compelling brand and way to market the products. Chaos created a brand full of cuteness and personality, focussing on baby photography and how the products might make them feel. Britishness and querkiness were of key importance and they needed to stand out on the crowded supermarket shelves and websites. 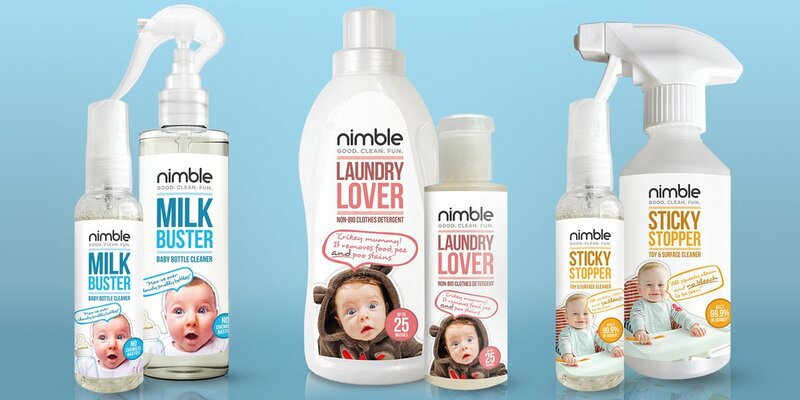 The succcessful launch of a new range of baby-friendly cleaning products has led to Nimble being stocked by companies such as Ocado, Tesco and Boots.